Highthorn Developments offer flexibility to our customers, supplying quotations for materials and labour, or if you prefer we can work with your supplier and provide labour only quotations. We can offer full replacement UPVC windows and doors, new conservatory’s, porches and canopies. 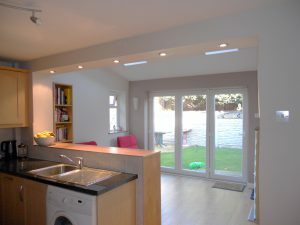 Sliding aluminium bi-fold doors and frameless roof lanterns can also add a perfect look to your property. With a huge range of products, styles and colours Highthorn can install your dream project. Transforming an empty space is one of the most cost-effective ways to extend the comfort in your home and improve your living space. Whether you dream of an extra luxury bathroom, and additional bedroom or snug area, a loft or garage conversion could be the ideal way to revitalise your home. Renovations require attention to detail and lots of care; two things that we pride ourselves on. We are renovation specialists and will help you to bring your vision to life. 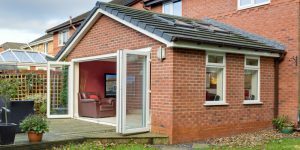 Using high quality materials, our expert team offer a full design and build service to help turn your dream extension into reality. Highthorn Developments are a well established building company offering the specialist skills and experience needed to provide the perfect result for your building project. At Highthorn, we have a team of professional master craftsmen dedicated to bringing your dream home to life. 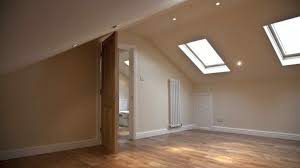 Whether you’re looking for a new kitchen or a loft conversion, Highthorn is here to make your ideas a reality. The Highthorn team are Darlington based general builders who also specialise in fitted kitchens, bathrooms, loft conversions, home extensions and renovations. Whatever the job, Highthorn is here to help you every step of the way. We pride ourselves on our attention to the finer details and through every step of your project, from the groundwork, brickwork and joinery stages, to the electrics, plumbing and plastering, we’ll take great care to ensure everything is of a high quality. We are general builders in Darlington, and also cover all surrounded areas in County Durham and North Yorkshire. we have previous clients that are happy to provide a reference to any potential new customer. John and his team were reliable, punctual, polite and a pleasure to deal with. The sharing of ideas ensured our large extension came together perfectly. As a result we have to date, and will continue to in the future, use John for all our building plans. We wanted to find someone who we could have honest, open and continuous dialogue with as the build progressed. I am delighted at my selection of Highthorn Developments and I am delighted at the beautiful, well crafted, delivered on time extension I now have. Both me and Jon are so happy with our updated home, everyone who has visited has commented on how impressive the workmanship is. We have already passed Johns number on to many friends and family members and will continue to do so. "...John spent time showing me several recent examples of his work and his other customers I phoned were full of praise. His team are skilled, reliable and constant. Highly recommended." If you would like to e-mail us, please use the form below and we will get back to you shortly. Alternatively, use the details on the footer to contact us via social media or phone. Thank you!